For any skin problem, AnteAGE is your skincare dream team. This potent serum and accelerator are derived from unique stem cells known as Mesenchymal stem cells. So, what’s so special about this particular type of stem cells? Cytokines, the natural beautifying chemicals in your body are stored in the Mesenchymal stem cells. As you might have guessed, you have an abundance of cytokines during your youth, but as you grow older, they start regenerating. These particular stem cells are captured by Cellese scientists from perfectly healthy human adults then culture them in their specialized labs to create more and more of cytokines. AnteAGE Serum and Accelerator is recommended for any adult above the age of twenty. You don’t have to wait for your skin to start aging for you to start using this amazing accelerator. Why not stay forever young by starting early. 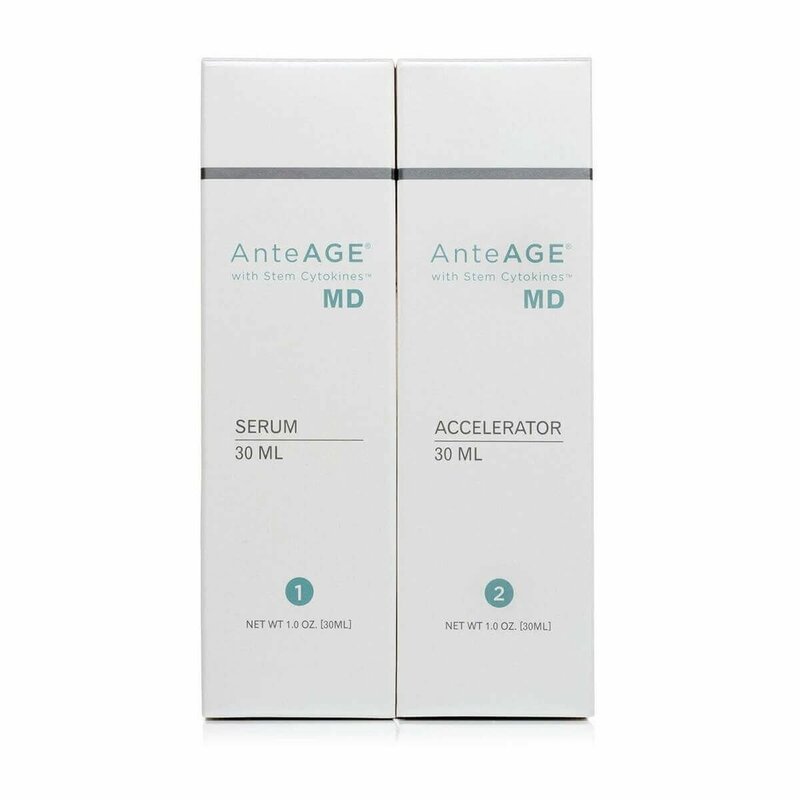 Reduce your age in half by using the AnteAGE Serum and Accelerator every day. A daily dose of this potent serum and accelerator will eliminate any signs of aging and environmental factors on your face. No more sagging or wrinkled skin. For the best results, use the combination of the serum and accelerator every day. First, clean your face and apply a natural moisturizer of choice. Gently rub a few drops on your face and wait for the amazing benefits of the AnteAGE Serum and Accelerator. For you to see the full advantages of this synergistic application, remember to take good care of your skin by applying sunscreen and wearing sunglasses outdoors to protect your face from weather elements.